Health Canada plans to no longer allow individuals to grow marijuana for medical use, with all approved grow operations instead being produced by larger industrial growers. Health Minister Leona Aglukkaq said the agency is moving to eliminate personal grow-ops that will not require inspection. "We are moving forward in looking at medical marijuana in terms of how any other prescription drug is accessed," the minister said. 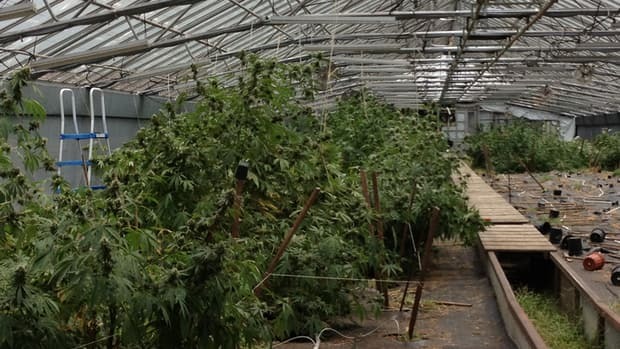 More than 15,000 people are licensed to grow medical marijuana in Canada, but Health Canada has no record of staff ever inspecting any of the growers, CBC News has learned. Burlington resident John Fattore has ankylosing spondylitis, a disease that causes inflammation of the joints between the spinal bones. It has destroyed his feet and makes him experience immense pain. He spent years bedridden, taking OxyContin and Percocet to ease the pain. "It will kill him," said his wife Brenda of the disease. By chance, Brenda met Hamilton’s Derek Pedro, a Health Canada designated medical marijuana grower and user, at a doctor’s office. He recommended her husband try it. "The pain relief was instant," Brenda said. Health Canada implemented its medical marijuana access regulations in 2001. Under the program, people with "grave and debilitating illnesses" can be granted legal access to marijuana for medicinal purposes. People seeking a permit apply in writing to Health Canada, with a supporting document from a medical practitioner. 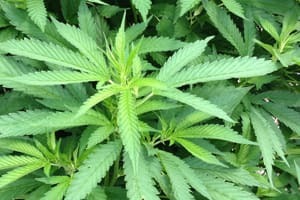 People who are licensed by Health Canada to possess medical marijuana can then apply for a permit to grow it for personal use, or to have someone else grow it for them through a "designated-person production licence" if they weren’t able to grow their own. Fattore has had a license to grow marijuana for personal use for two years and now grows his plants on Pedro’s property. He no longer spends his days in bed, but is mobile in a motorized wheelchair. Brenda says he uses half of the pharmaceutical medicine he used to, and some days, doesn’t take any at all. The Hamilton Spectator reported that in June, the RCMP charged Pedro with trafficking marijuana and conspiracy to produce marijuana. Police allege he indirectly sold 500 marijuana clones to undercover police officers involved in the probe. Clones are the rooted cuttings of adult marijuana plants. Pedro is out on $2,500 bail for a court appearance in London, Ont. in July. Brenda was a health care aid before she quit her job to take care of her husband. At first, she was uneasy about John using medical marijuana. P.O.V. Should Health Canada centralize medicinal marijuana production? Take our poll. "I was paranoid for my husband to use it because of my medical background," she said. "Now I totally believe in the transformation of the sick." If the Fattore’s are no longer allowed to have a license to grow medical marijuana, Brenda said they will "absolutely not" be able to afford marijuana at the price health Canada will charge — $150 an ounce. Fattore uses half an ounce a day. "He’ll have to go back on hydromorphine and he’ll be a vegetable in bed," she said. "The government wants the money," she said. "They don’t want the little guys taking care of the sick people." Curtis Wallace, a designated grower who works with Pedro, said he’s in the business because of the "satisfaction of helping people" — and because he believes in the plant. A 2010 report prepared by the RCMP for the Canadian Association of Chiefs of Police analyzed 190 cases of medical marijuana abuse. Just over one-third of the cases documented in the study involved trafficking or the production of more marijuana than permitted in the licence. Ottawa isn’t expected to unveil new medical marijuana rules until 2014. In the meantime, Health Canada keeps issuing individual growing permits for a program it struggles to police.